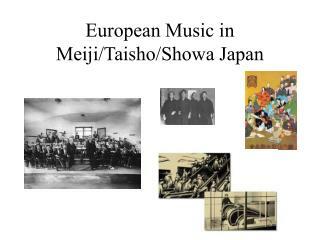 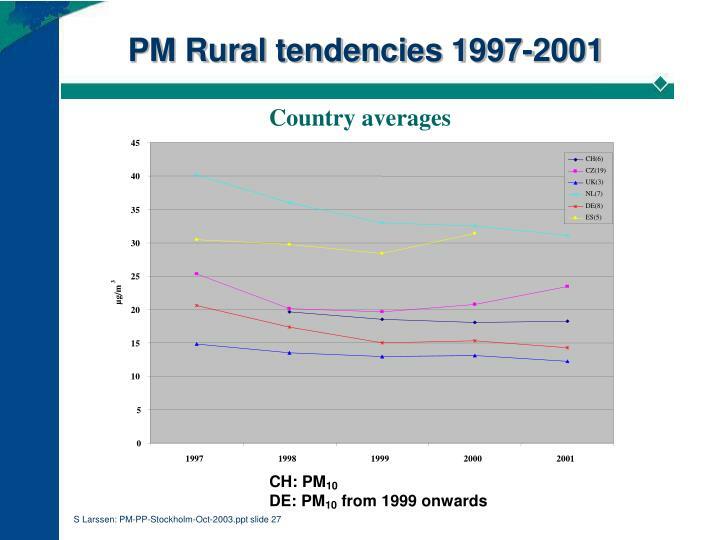 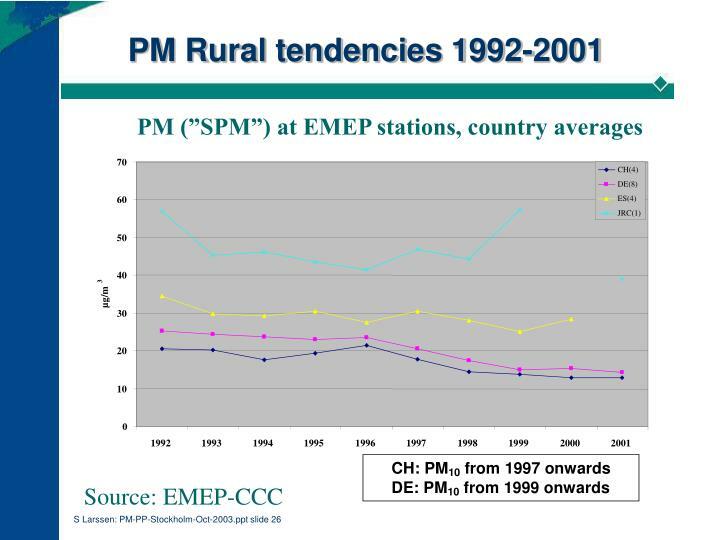 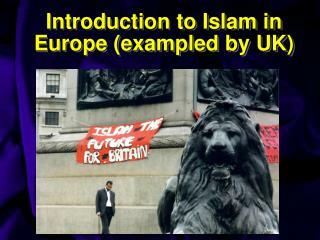 PM in Europe - State and past trends. 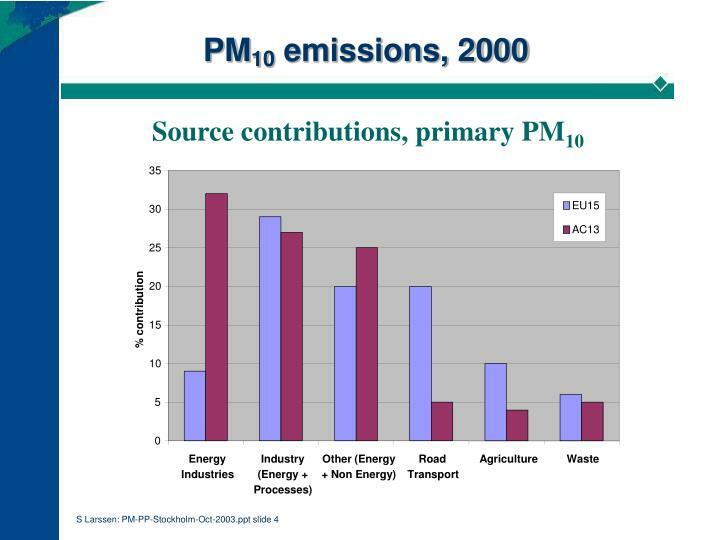 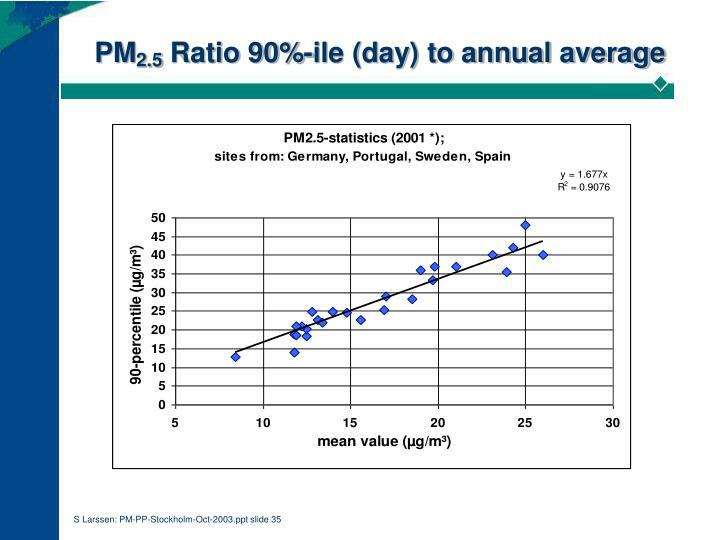 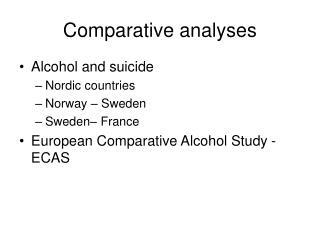 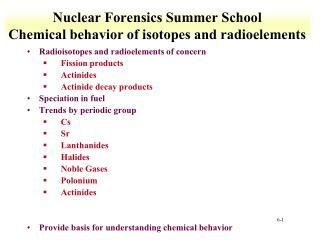 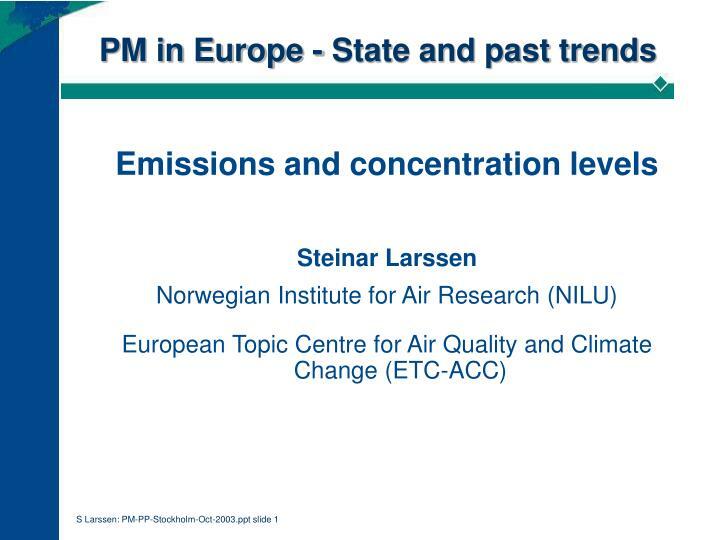 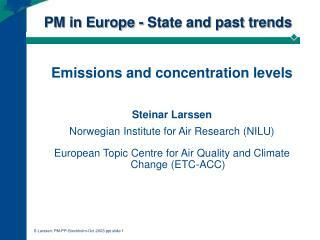 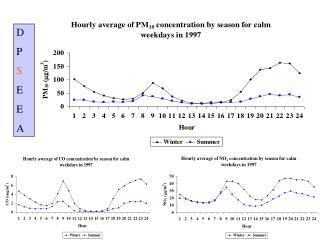 Emissions and concentration levels Steinar Larssen Norwegian Institute for Air Research (NILU) European Topic Centre for Air Quality and Climate Change (ETC-ACC). 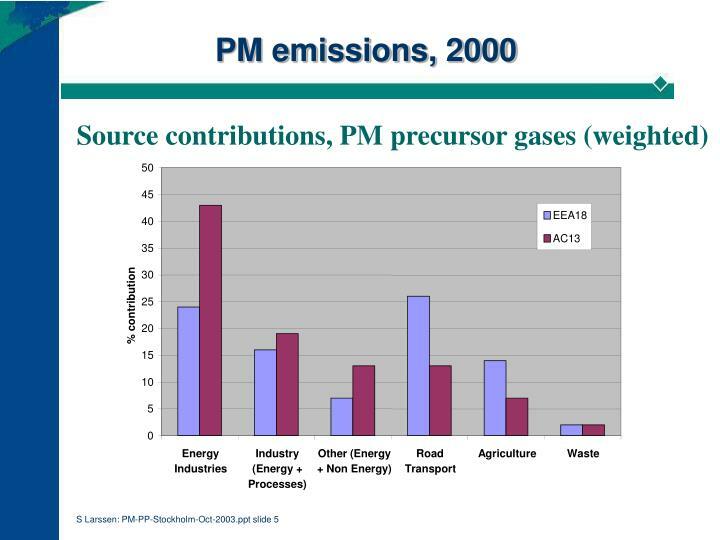 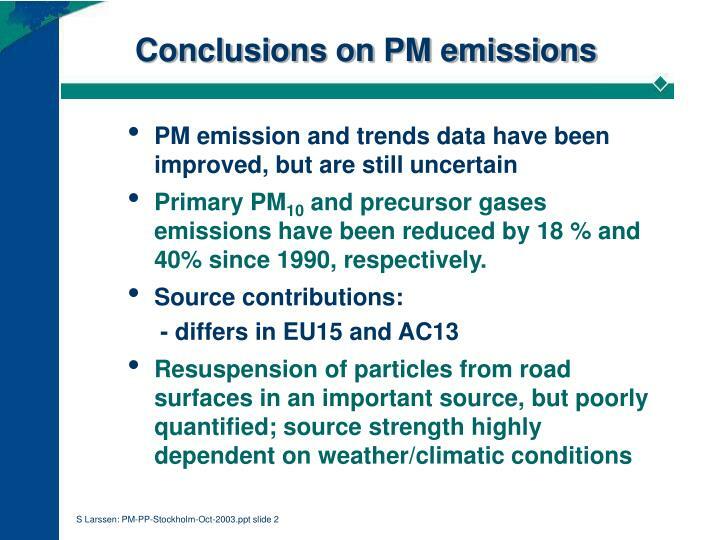 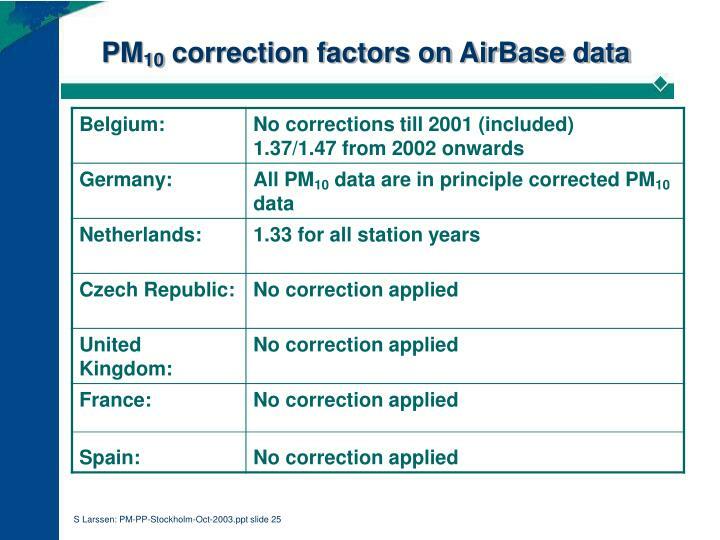 Conclusions on PM emissions. 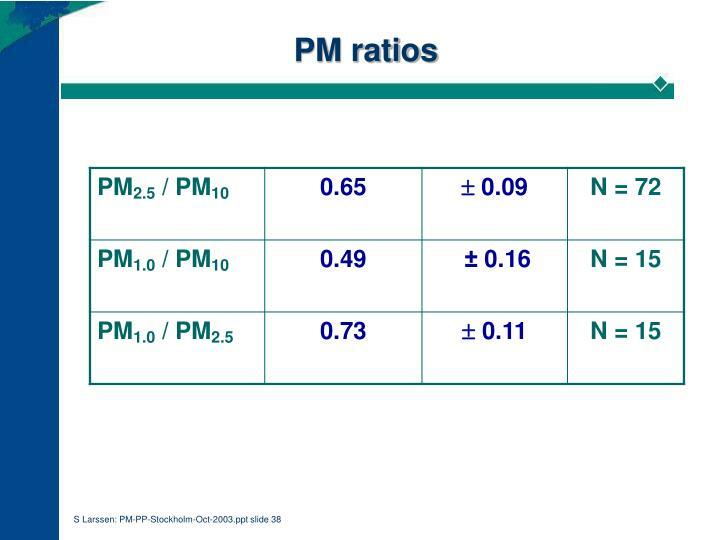 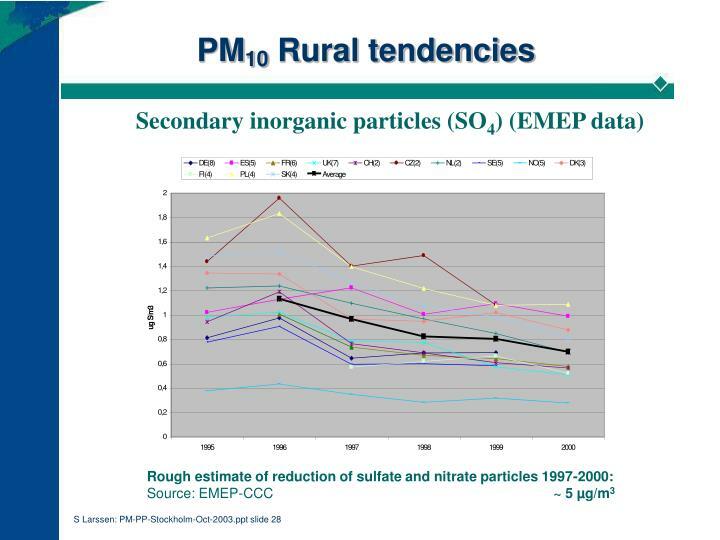 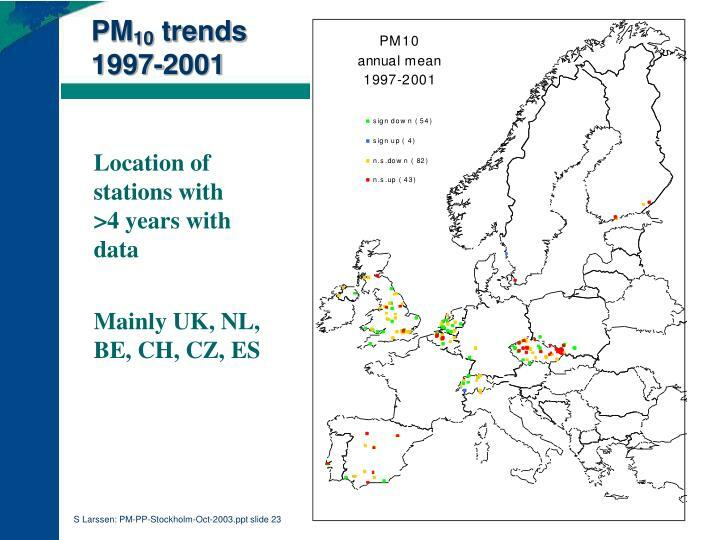 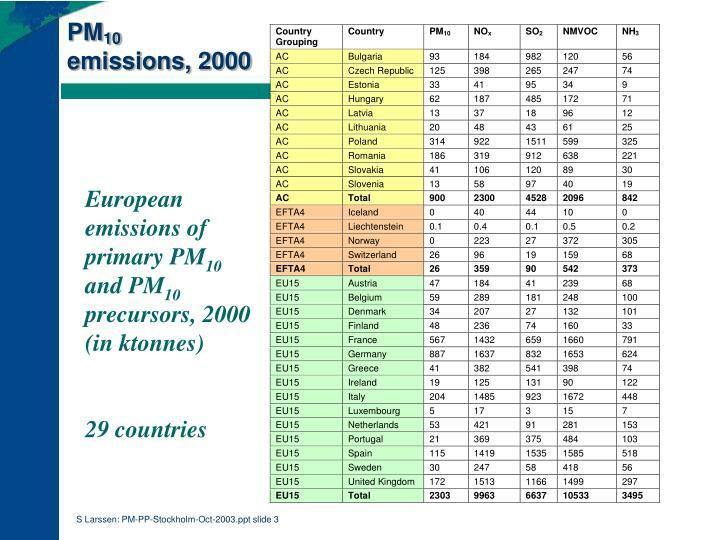 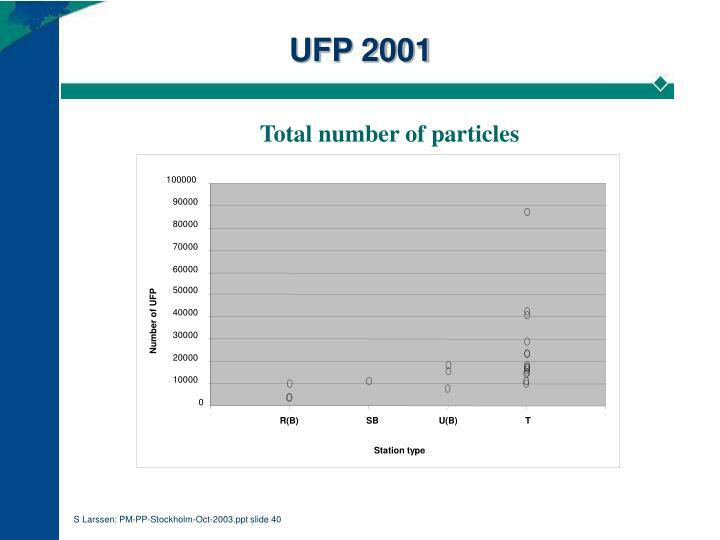 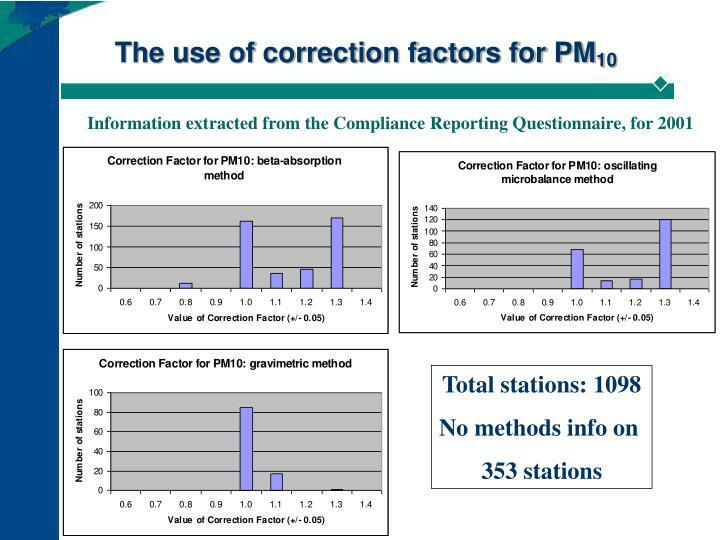 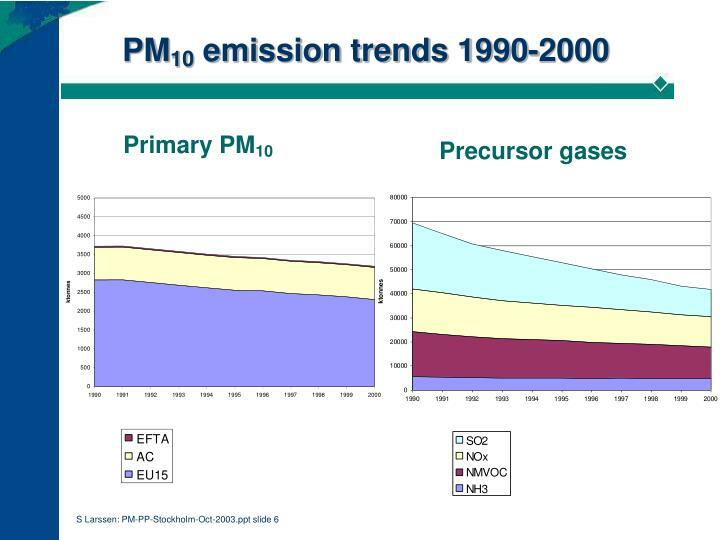 Primary PM10 and precursor gases emissions have been reduced by 18 % and 40% since 1990, respectively. 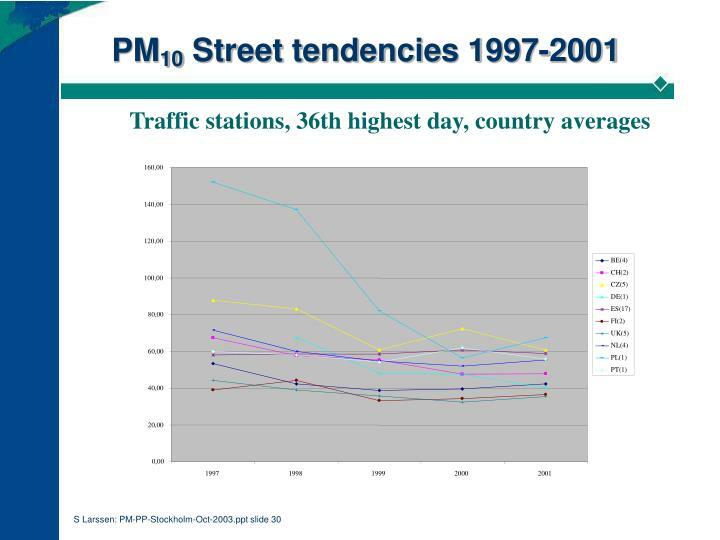 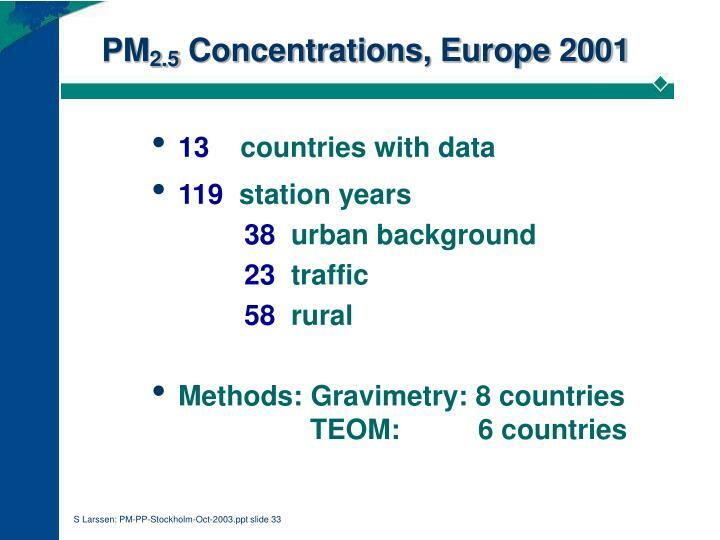 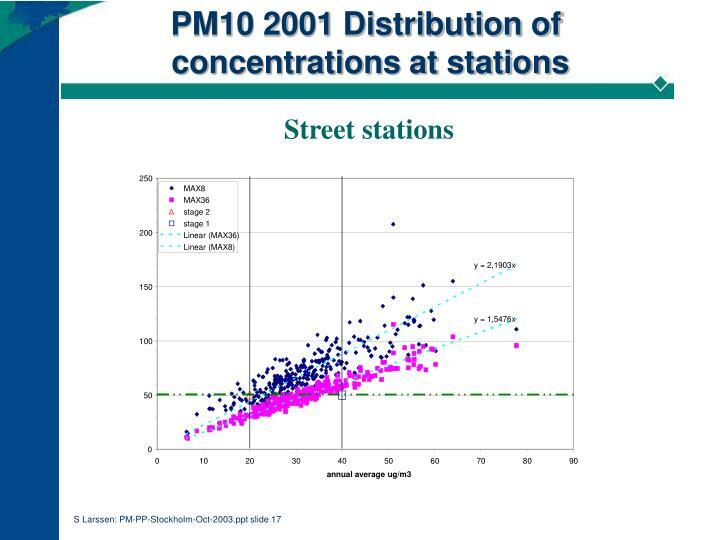 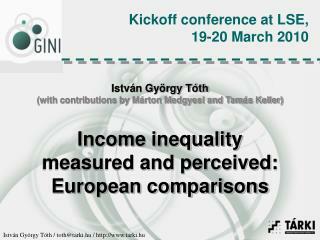 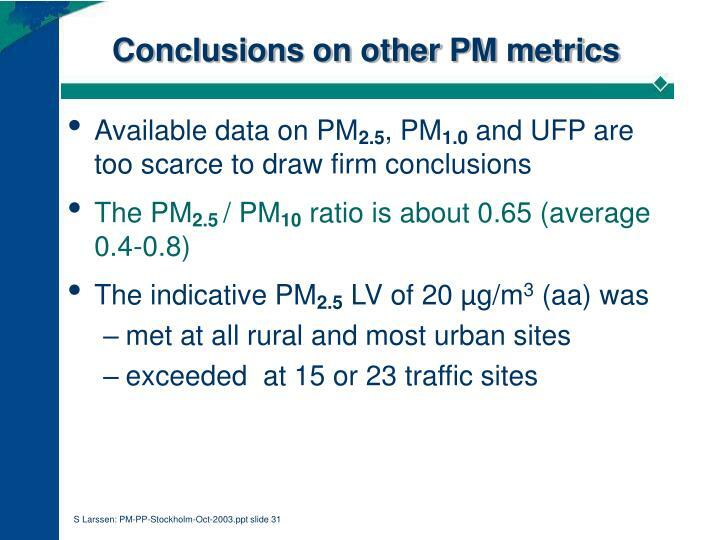 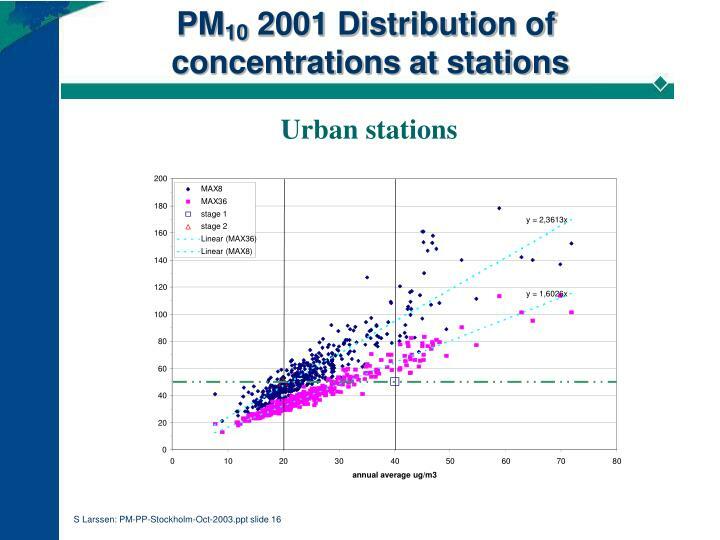 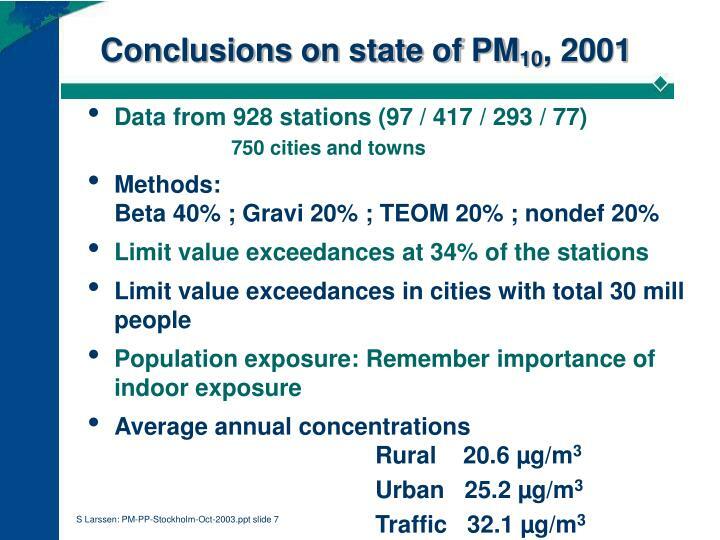 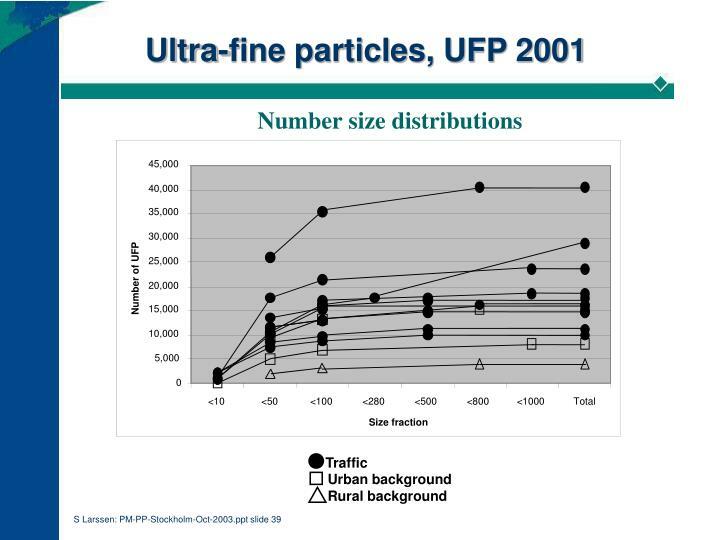 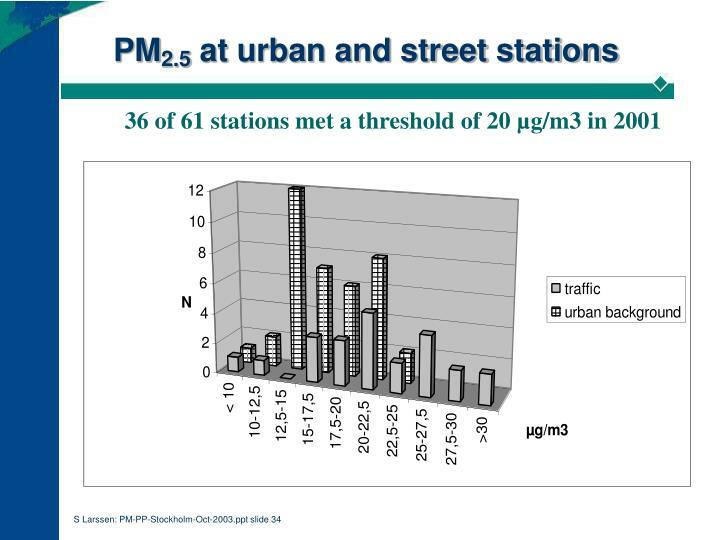 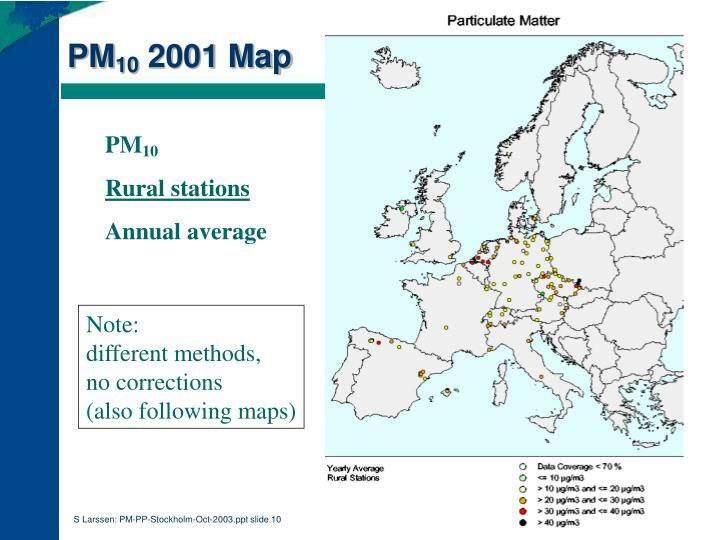 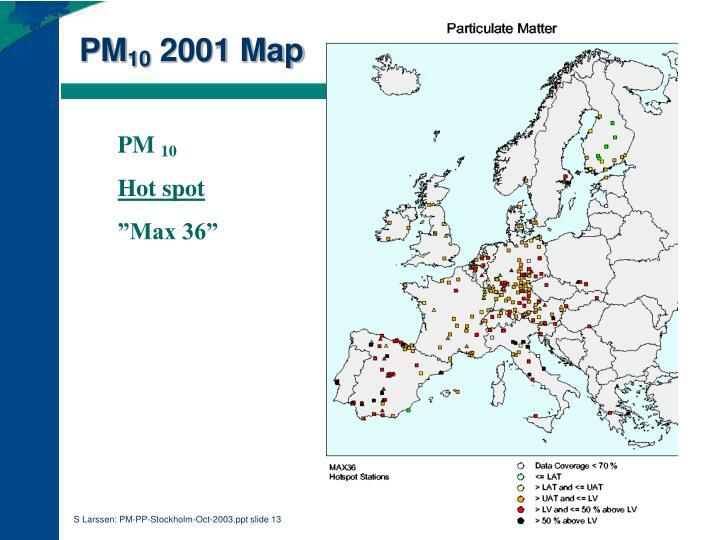 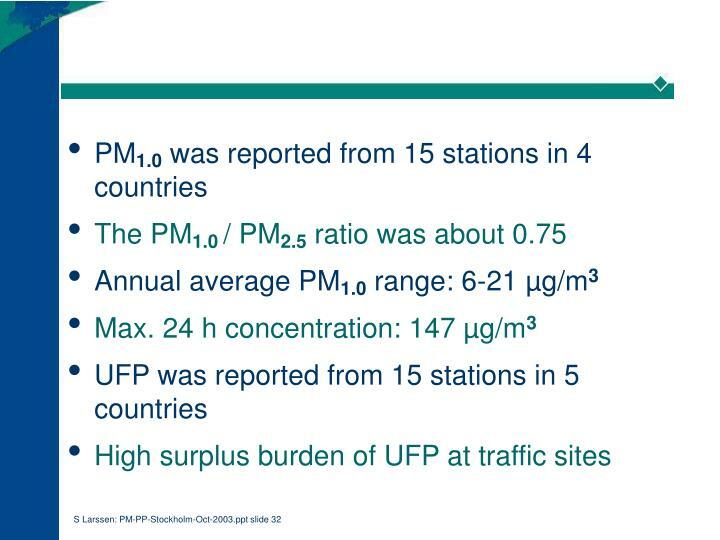 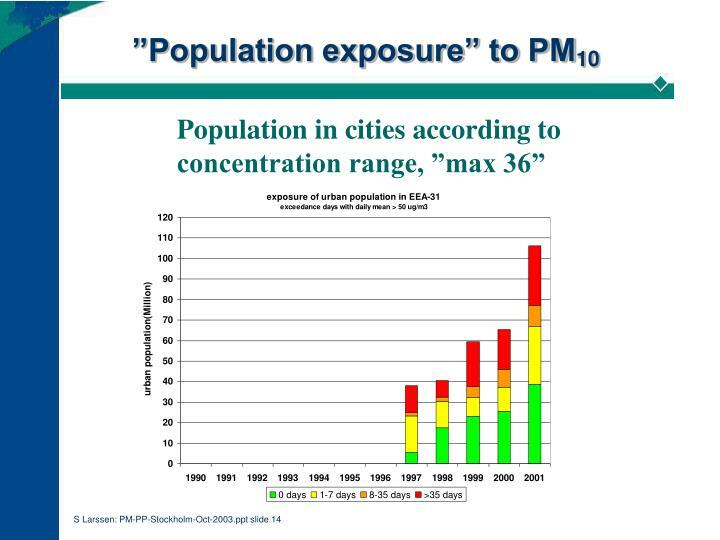 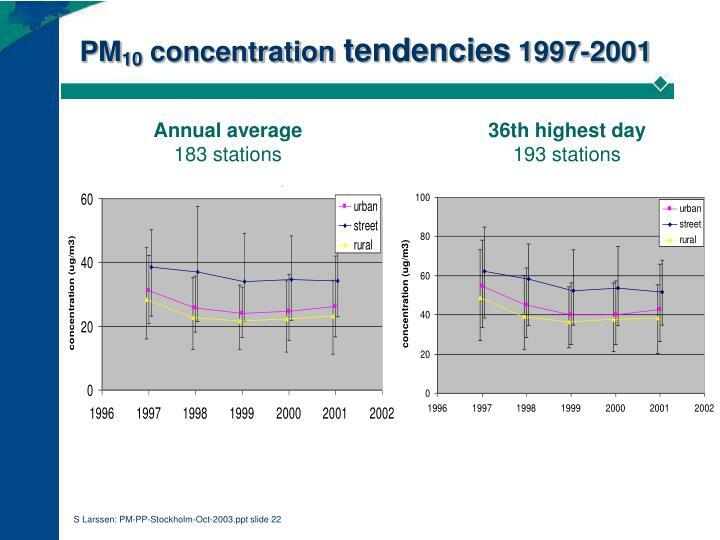 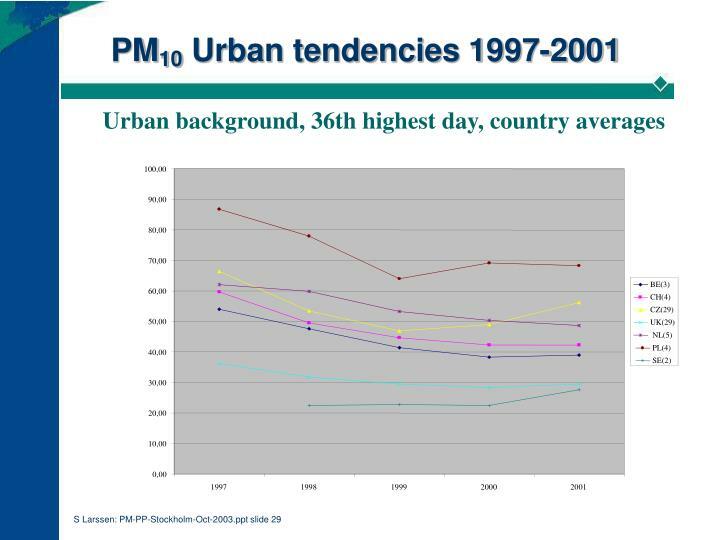 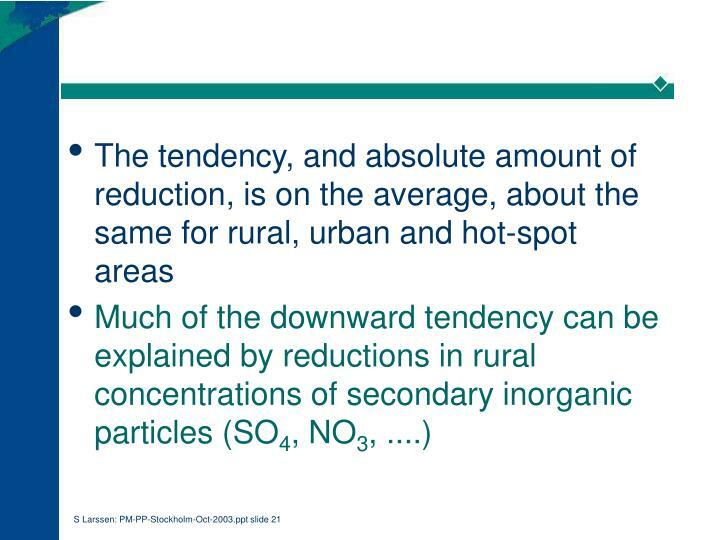 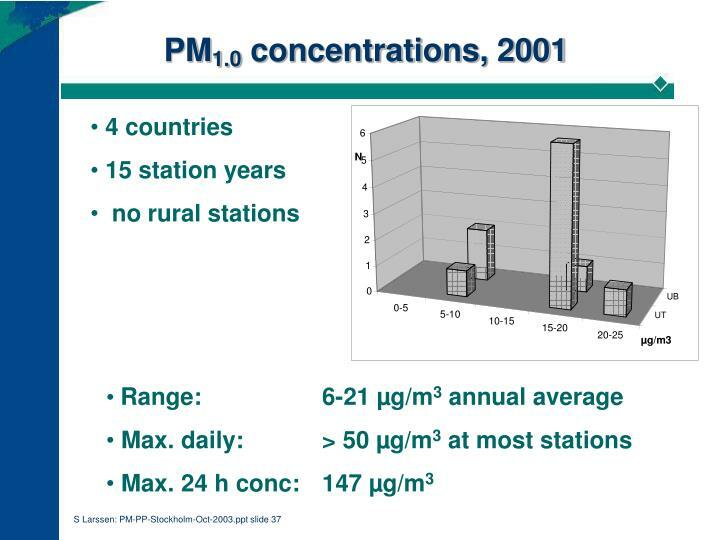 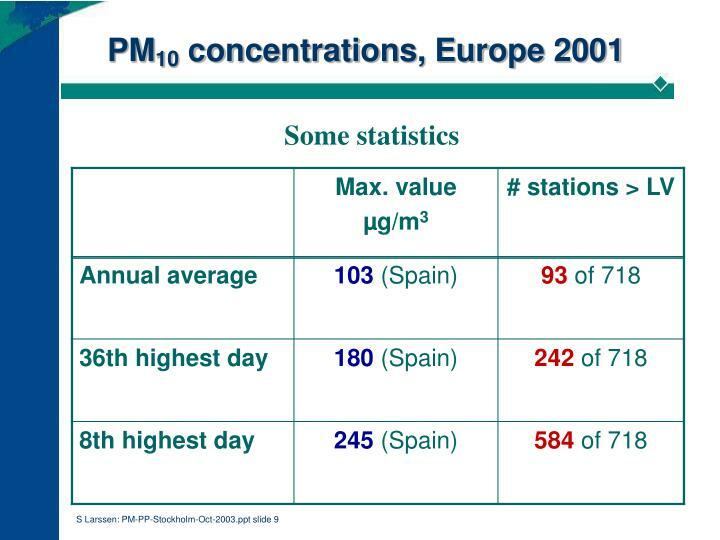 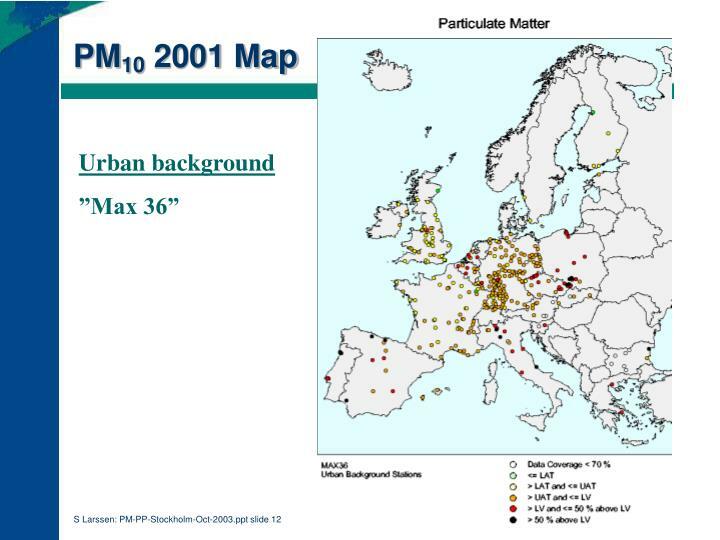 Urban concentrations highest in Southern/Eastern Europe? 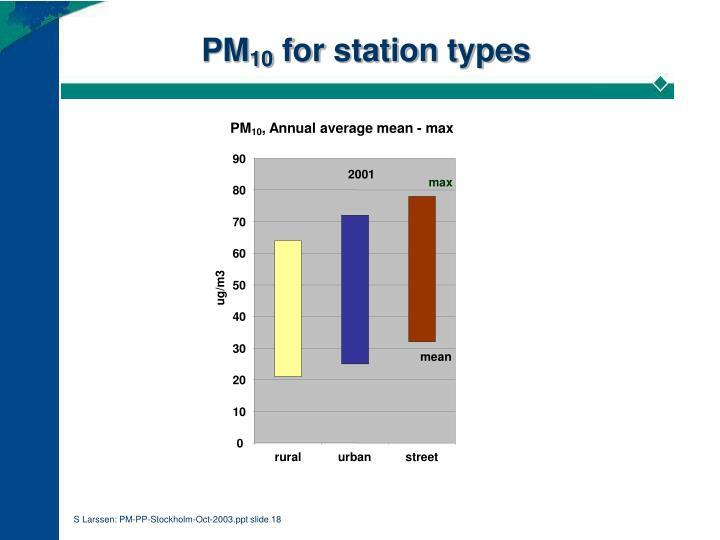 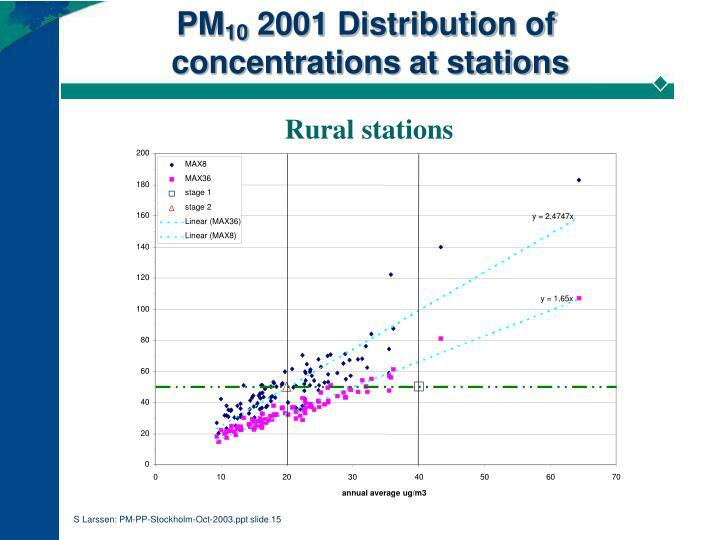 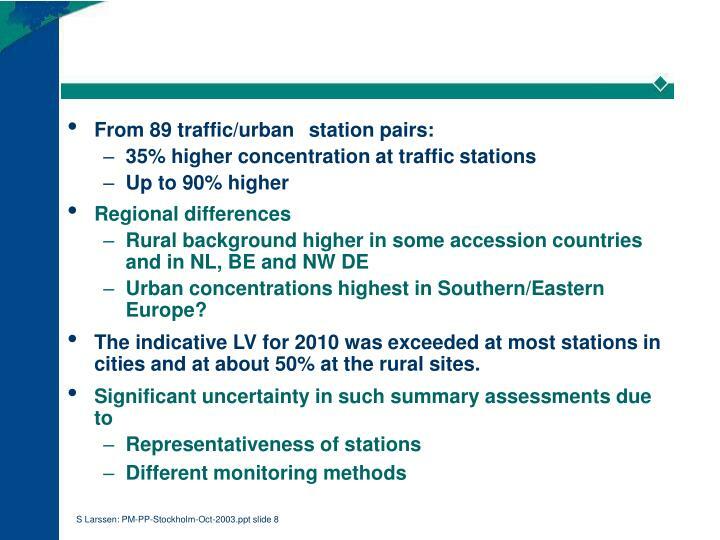 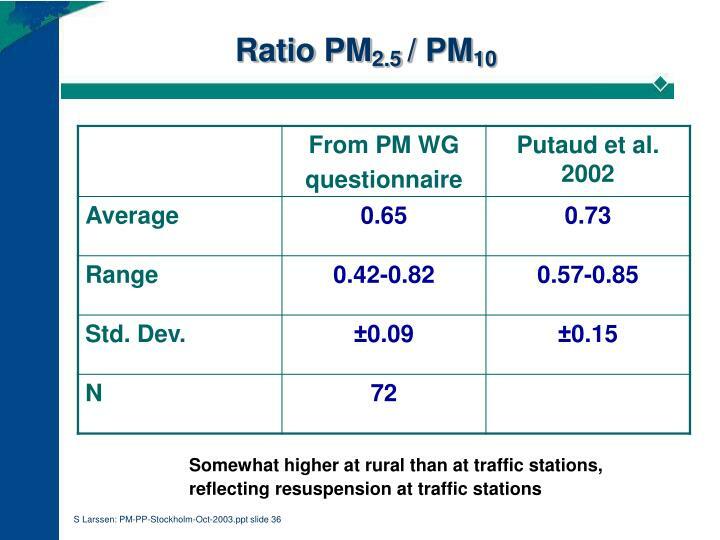 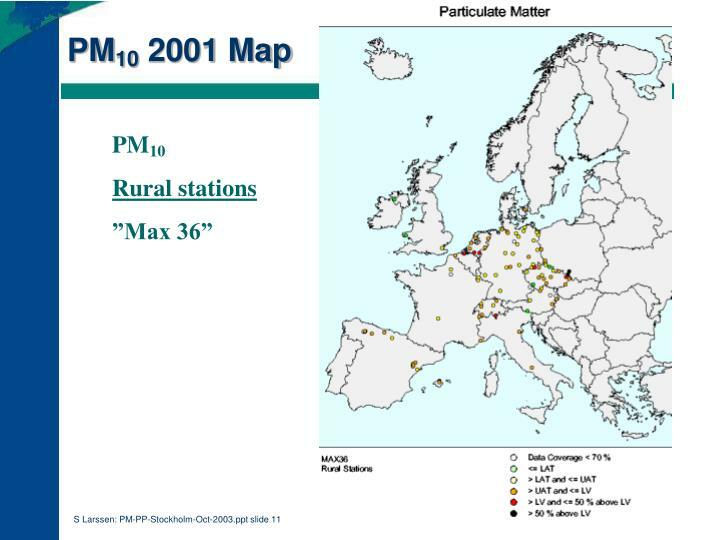 The indicative LV for 2010 was exceeded at most stations in cities and at about 50% at the rural sites. 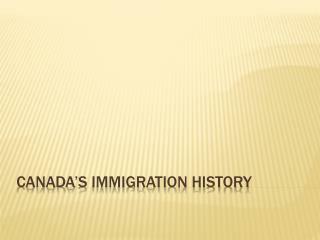 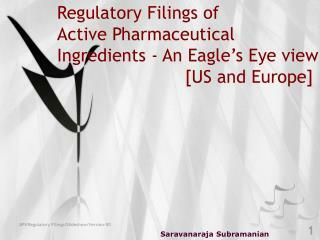 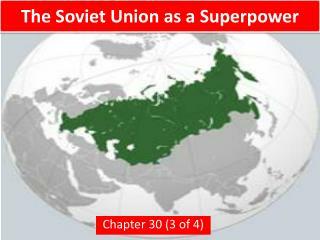 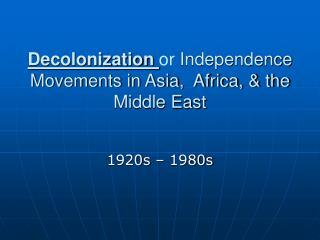 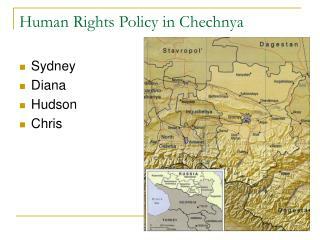 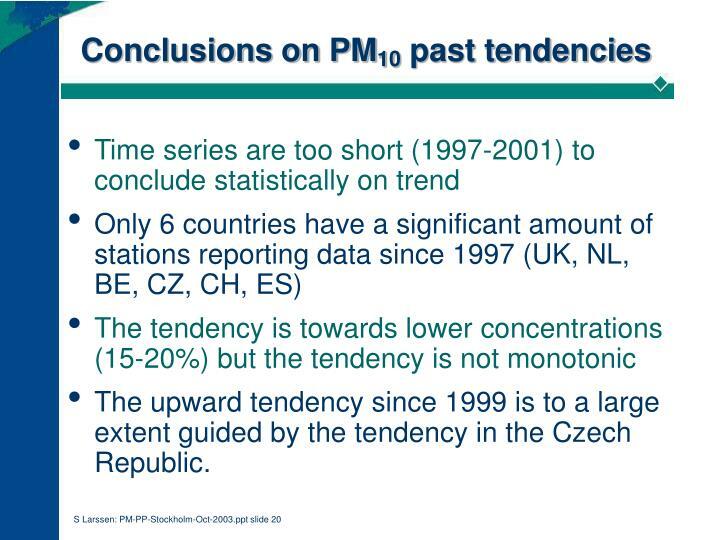 The upward tendency since 1999 is to a large extent guided by the tendency in the Czech Republic. 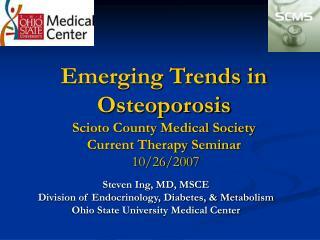 Emerging Trends in Osteoporosis Scioto County Medical Society Current Therapy Seminar 10/26/2007 -. 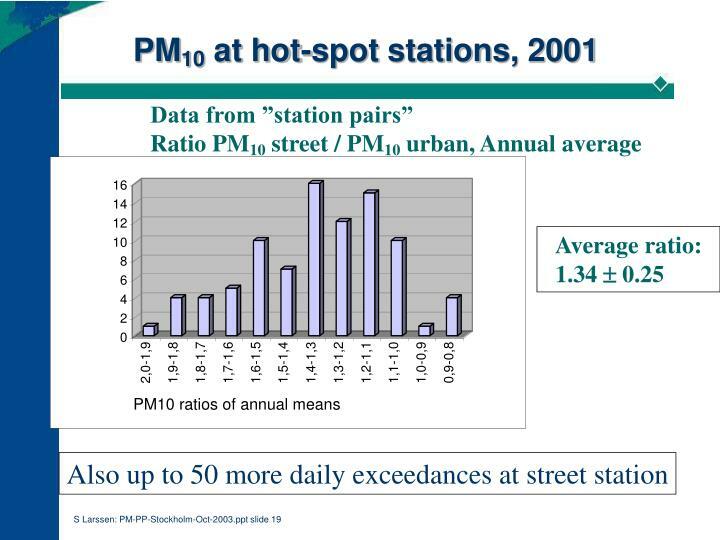 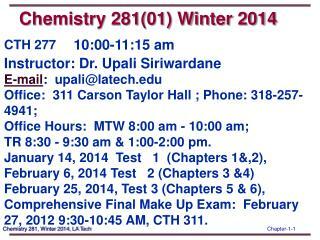 steven ing, md, msce division of endocrinology, diabetes, &amp; metabolism ohio state university medical center.